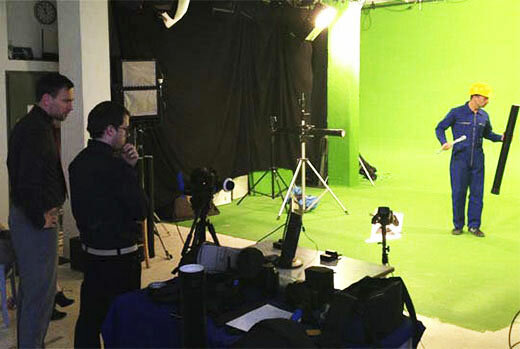 Jean-Ferry shoots the TV commercial "Bücherregal" for XXXLutz. 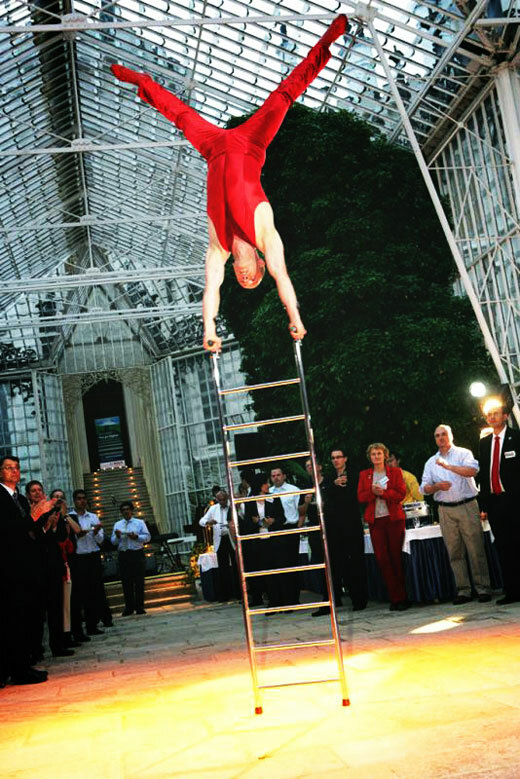 On the ladder and in the handstand in front of a gigantic bookshelf. 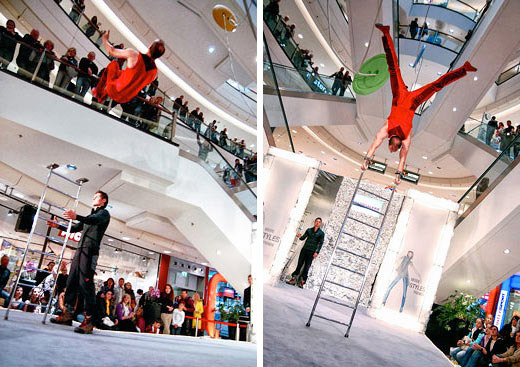 Ladder acrobatics, a living room becomes a stage. 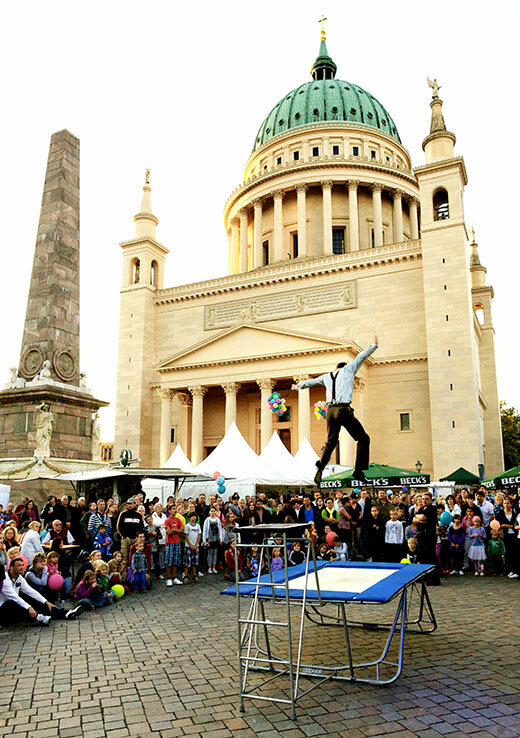 in front of historic buildings with trampoline, ladder and 3000 visitors. 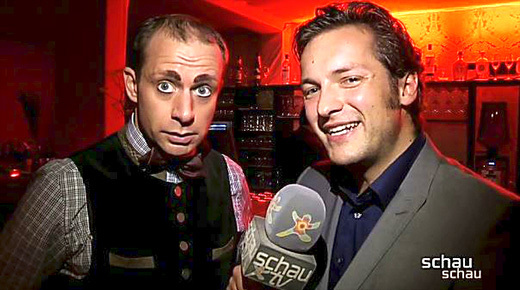 On TV, it was great with Stefan Mross! 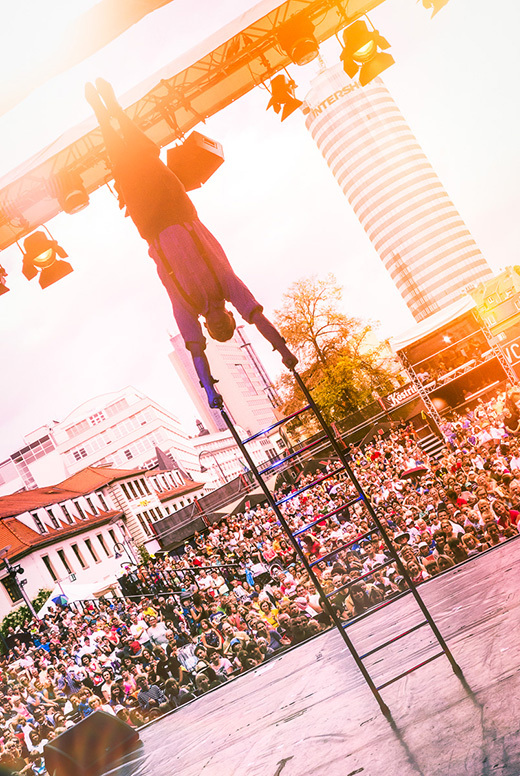 31 days, 90 solo shows, 500 lollipop, 35000 enthusiastic spectators. 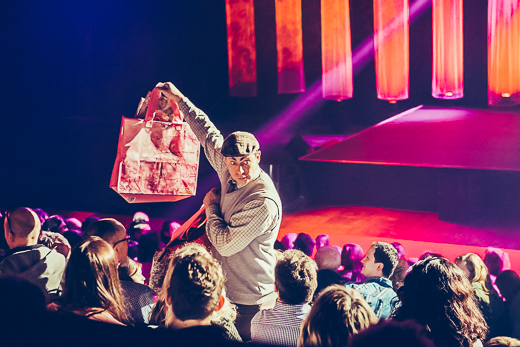 Jean-Ferry impressed with his comedy interaction show the Legoland visitors. 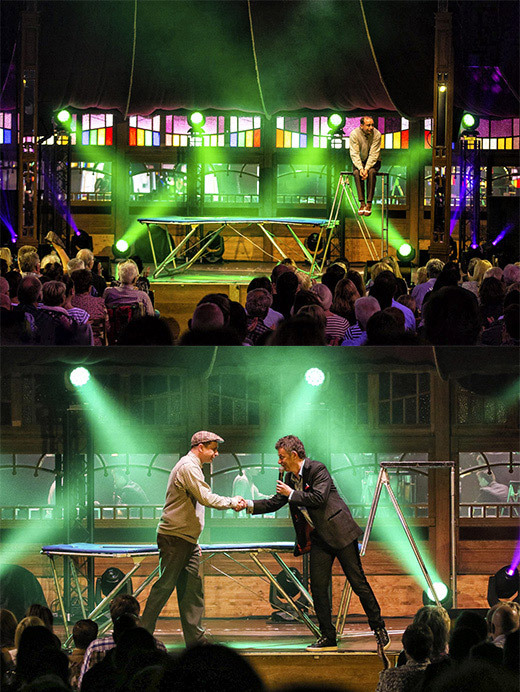 In the extraordinary and sold out mirror tent in the courtyard of At Haus Beeck, Christian Pape and his guests inspire the spectators. 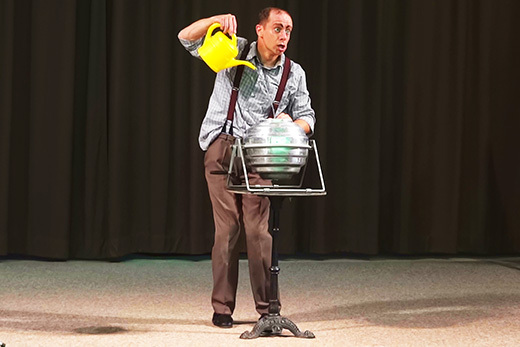 "Of course Jean-Ferry with his trampoline can not be missing"
Jean-Ferry as clown co moderator "silent" at Summer Variety - Rügen! 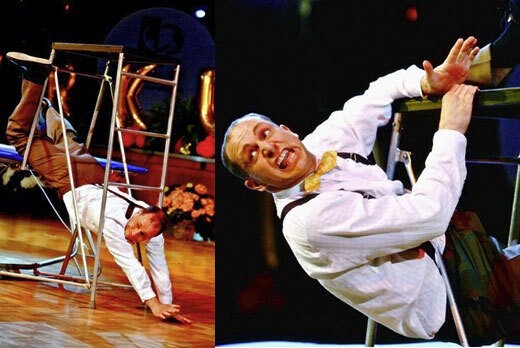 Comedy Trampoline, Ladder Acrobatic, Comedy Magic and the "goofiest face" in the world at " Summer Variety Rügen". 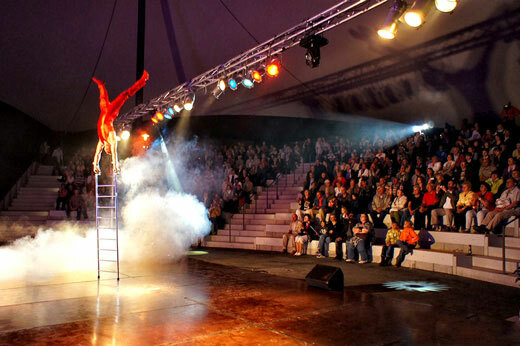 The amazing europa park - variety and circus show in Friedrichshafen. 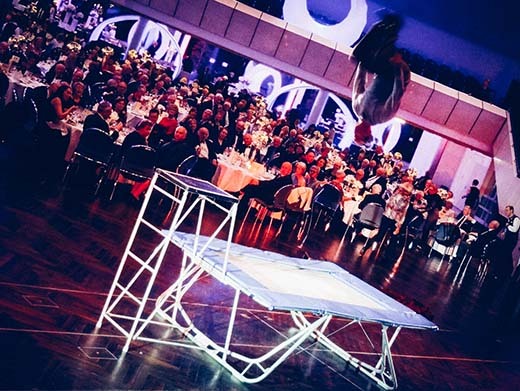 Trampoline, lolli, 4000 guests and a lot of fun. 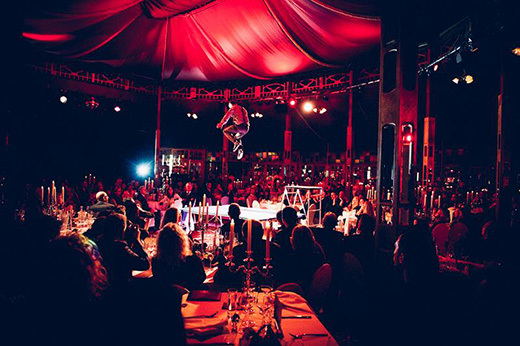 With ladder, trampoline, a showgirl, champagne and fireworks. 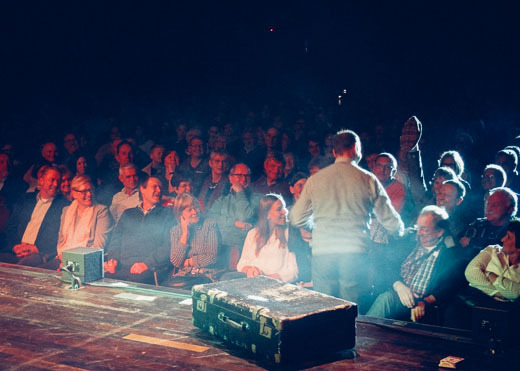 What a great audience at the sold out City Hall Balingen. 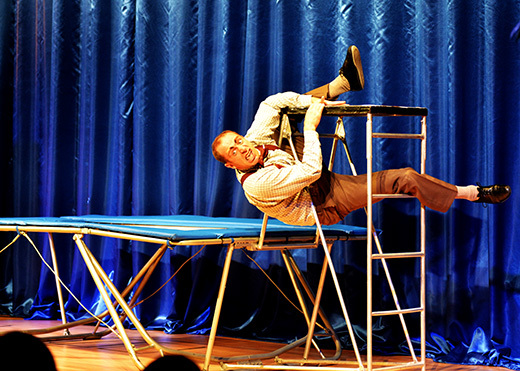 Jean-Ferry thrills the crowd at Mercator hall with his trampoline, ladder and comedy magic. 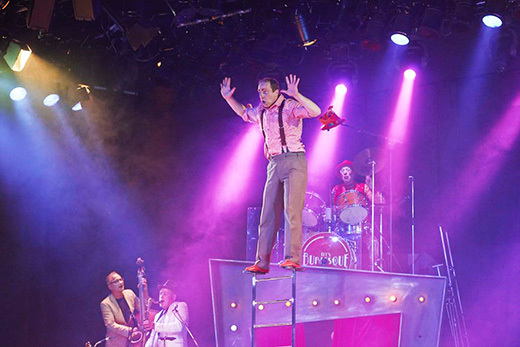 With trampoline, ladders and slapstick to lough yourself silly . Police in Coburg, what a fun. With Dagmar Frederic at Spa house ball, the German star of my childhood. 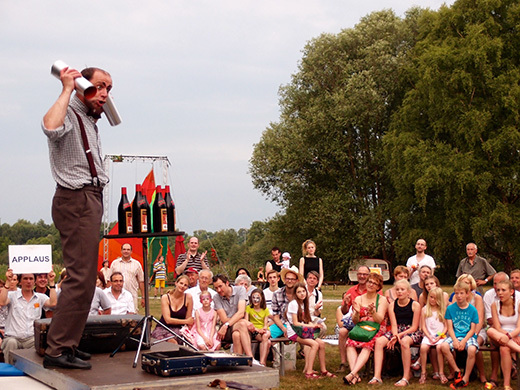 With trampoline, washing machine, magic iron and lots of fun in Gunzenhausen. 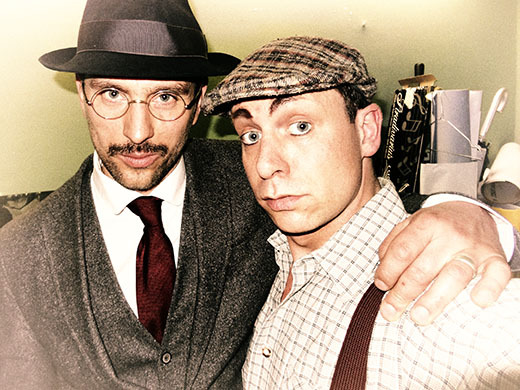 The world´s dumbest face as a parcel driver "Mr. Müller". 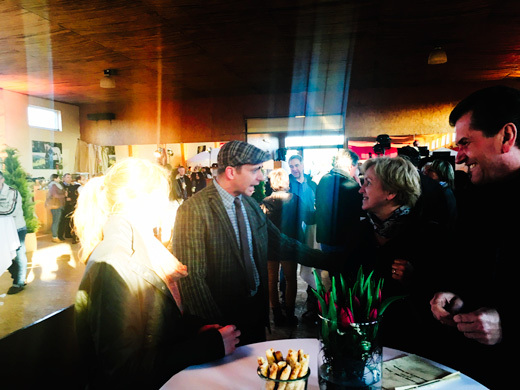 Jean Ferry explains with Diana Barth in the Comedy Duo the VW product CarePort to the visitors of the IAA Hannover. 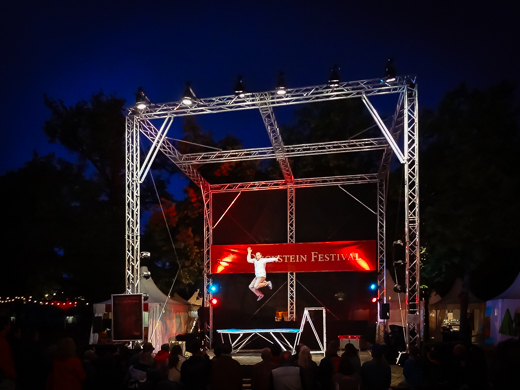 Jean-Ferry thrills the crowd at the Variety Show for Festival of lights Karlsruhe with his trampoline, washing machine and much more. 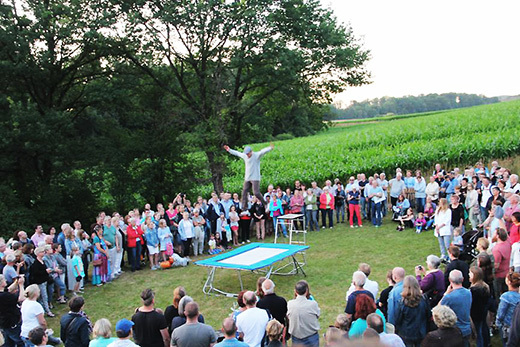 Jean-Ferry thrills the crowd at the Duckstein Festival with his trampoline, washing machine, etc. 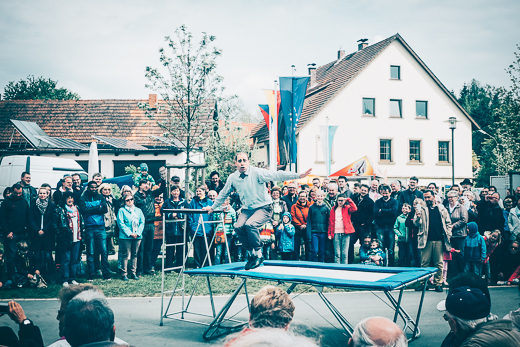 Jean-Ferry thrills the crowd at the 38th Himmelkron Street Festival with his trampoline, washing machine, etc. 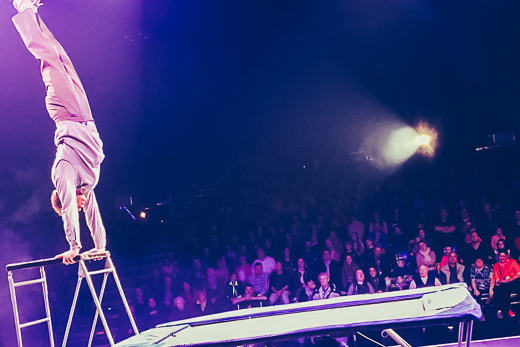 Jean-Ferry is part of an extraordinary event production. 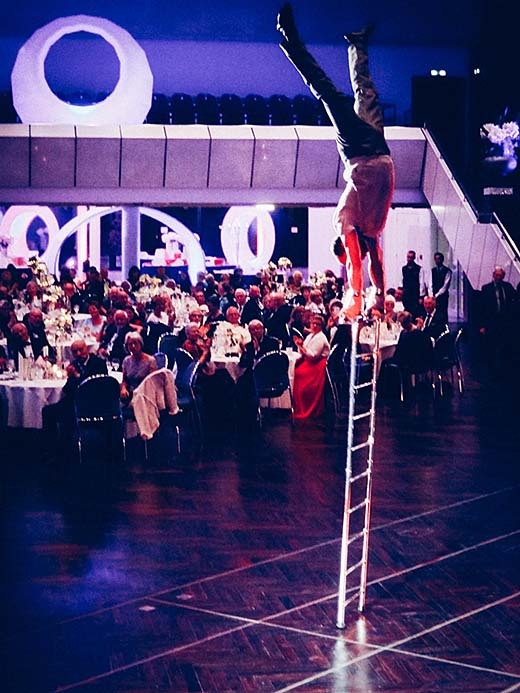 In cooperation with a film animation, a unique ladder act is created during the time-consuming rehearsals. 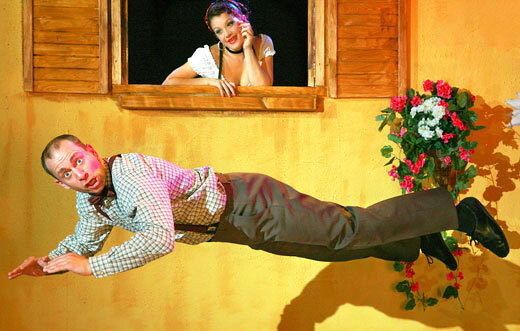 In this special choreography, Jean-Ferry works for the first time with an animated stage partner in the style of „Disneys Nemo“. 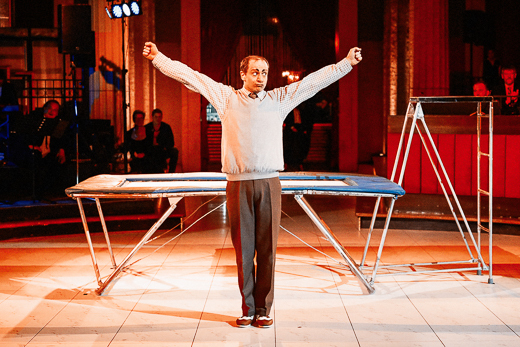 Jean-Ferry is a hit with the guests at the Sattlerei Henning anniversary party with his walk act, trampoline and comedy magic. 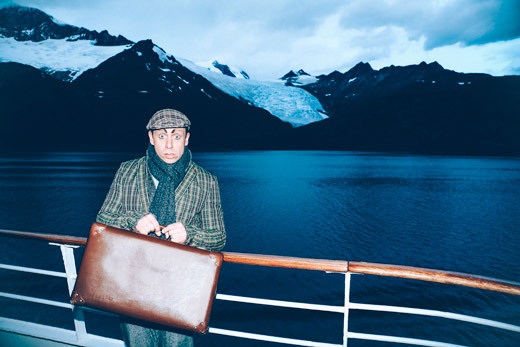 With his 50-minute solo comedy programme, walk act and comedy animation, Jean-Ferry captivates the guests on the MS Amadea. 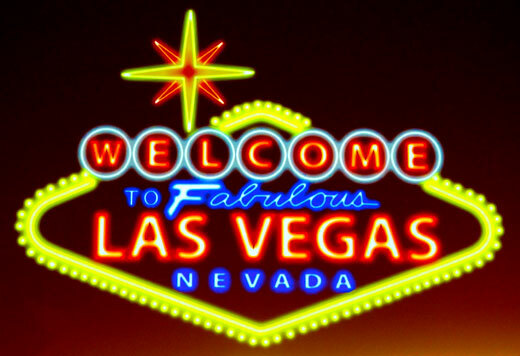 120 shows in 5 weeks! 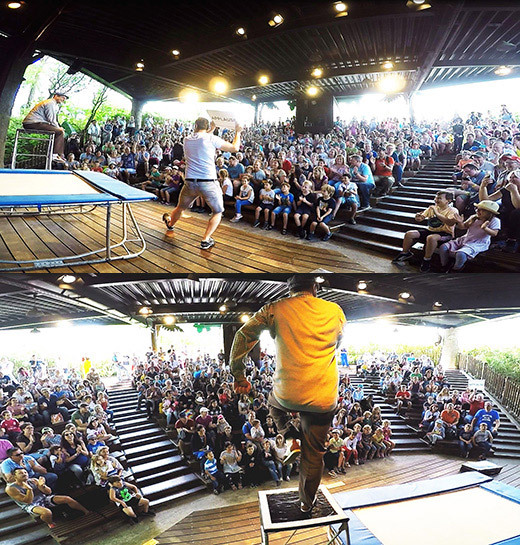 Thanks to the great audiences at the Europa Park. 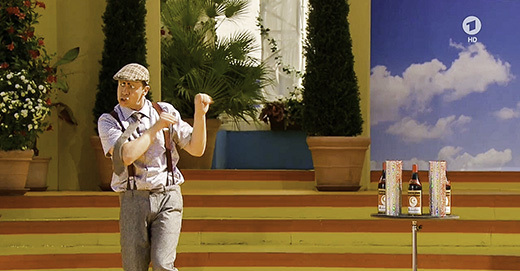 Jean-Ferry enchants the viewers of the ARD live programme “Immer wieder Sonntags” under the clear blue skies of the Europa Park in Rust, southwest Germany. 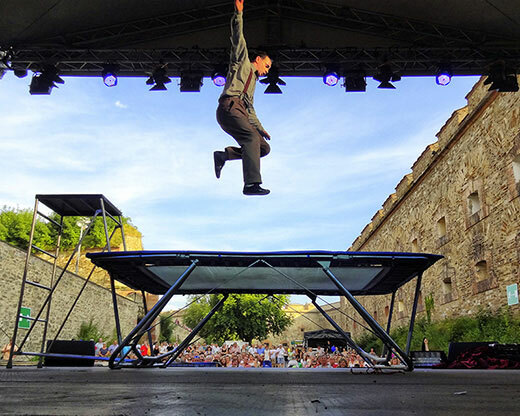 The 241st Fountain Festival in Salinepark: Comedy trampoline, magic, great weather and a super audience. 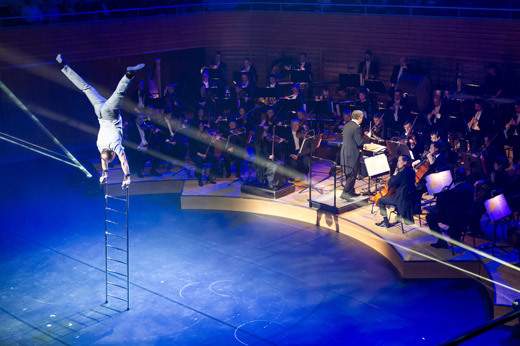 An audience of 2000, trampoline, ladder and a great variety show in the Kulturarena Jena. 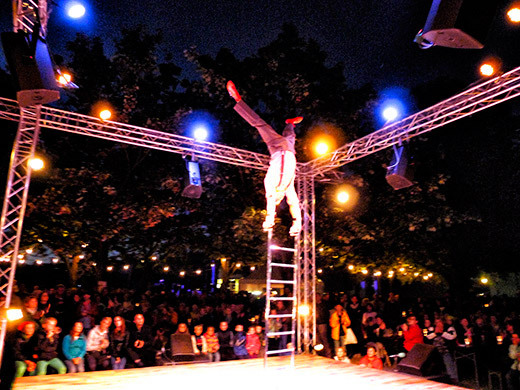 Jean-Ferry uses his trampoline, bottles, washing machine and much more to thrill the visitors of the Schlosspark Braunschweig. 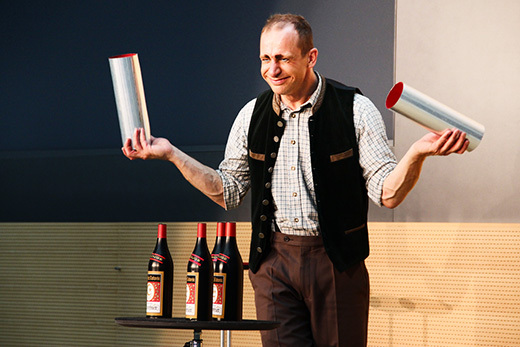 Jean-Ferry once again at the Friedrichsbau Varieté theatre in Stuttgart. 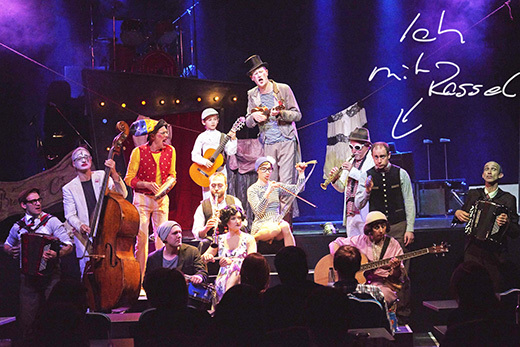 With a “wonderfully crazy cast”, the clown show wowed the Stuttgart audience in the new Friedrichsbau Varieté. The smallest space on any the location! 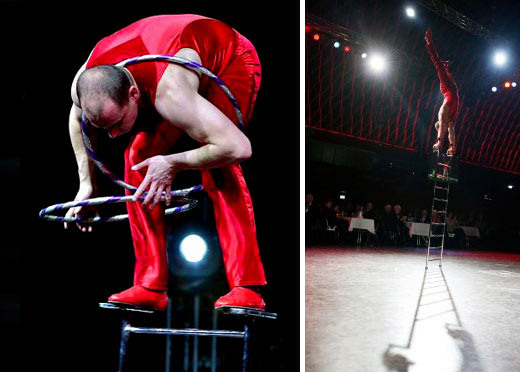 With Comedy Trampoline and Ladder Acrobatic at „IHK-Neujahrsempfang“ event. 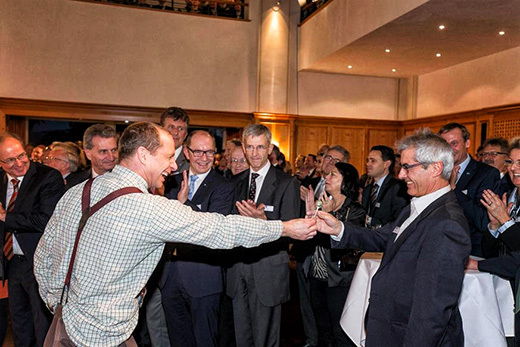 Spezial guests was EU Commissioner Günther H. Oettinger and many guests of the social life of Lindau. 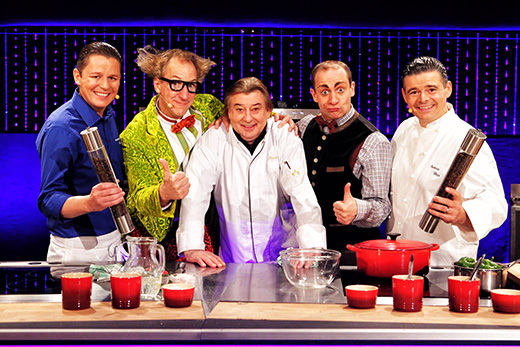 Jean-Ferry as clown co moderator „silent“ at the Dinnershow! 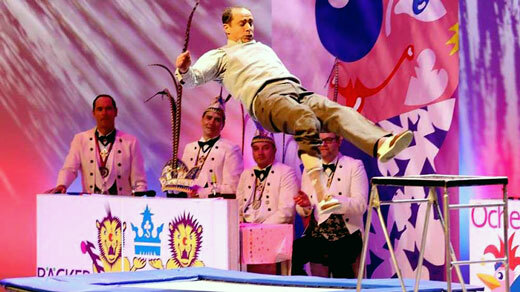 Comedy Trampoline, Ladder Acrobatic, Comedy Magic and the „goofiest face“ in the world at „Gourmet Palast“. 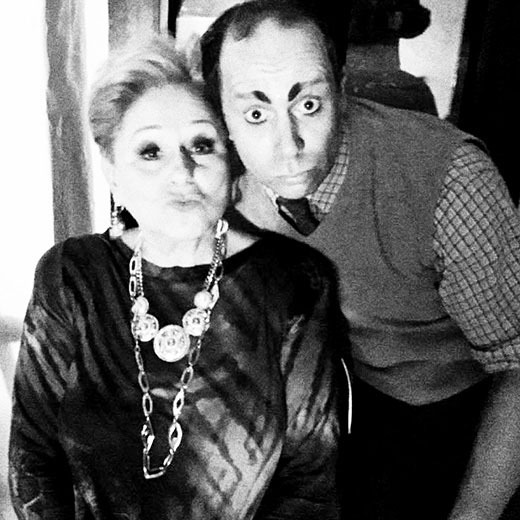 With the „goofiest face“ in the world on the Comedy Stage! 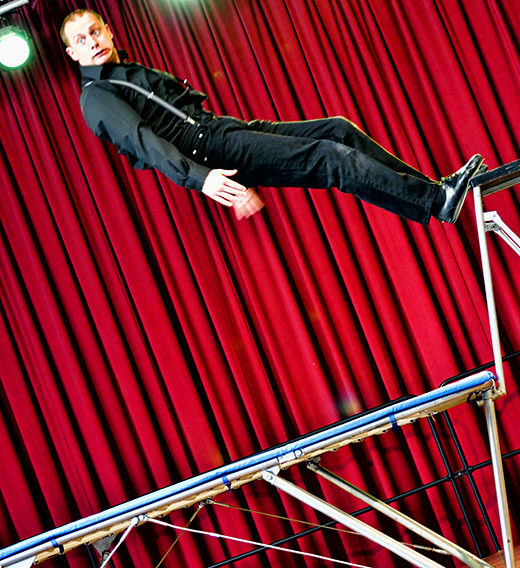 Jean Ferry, the Trampoline und Comedy Magic at the „Humboldts Comedy Club Berlin“. 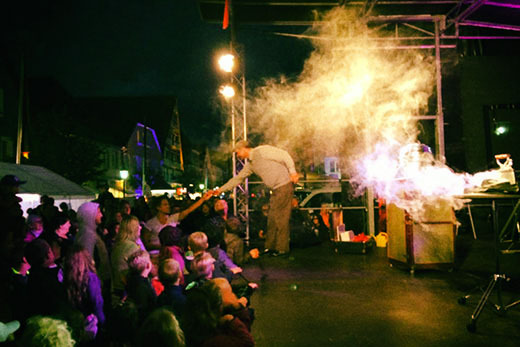 35 Minuten Show at Eifelpark! 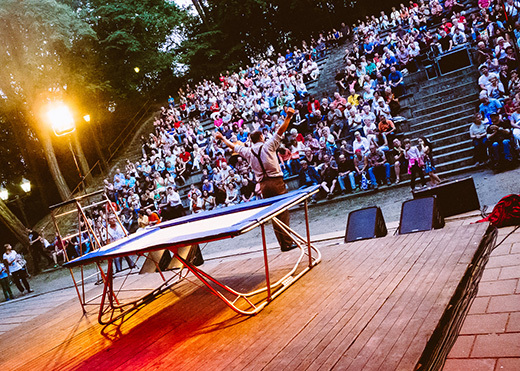 Trampoline, Comedy Magic and Spellbound slapstick in 35 minute show at „Eifelpark“ more than 70 shows! Jean-Ferry with 30 minute show. 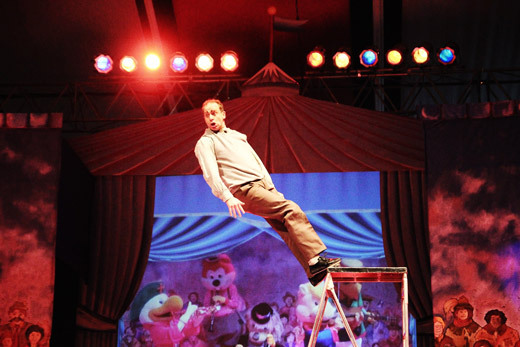 Comedy Trampoline, Ladder Acrobatic and Comedy Magic. 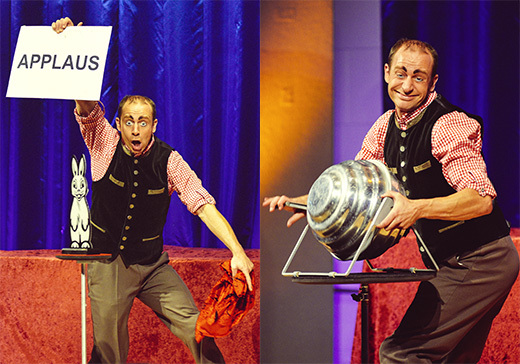 The only man at the Variety Show „Wallis Revüh“ Jean-Ferry, the women under control. Or inverse? 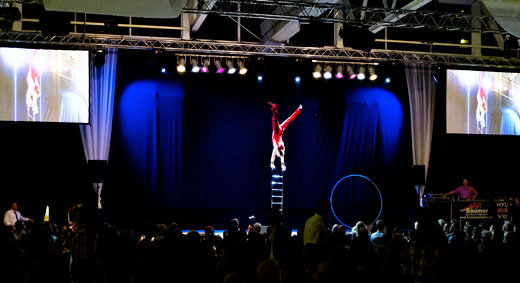 At Event Production in Beauvais – France. 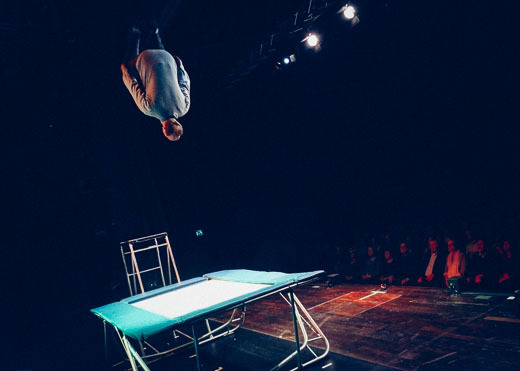 Comedian, Comedy Trampoline and Ladder Acrobatic at REINHARD GERERs TEATRO – Vienna. 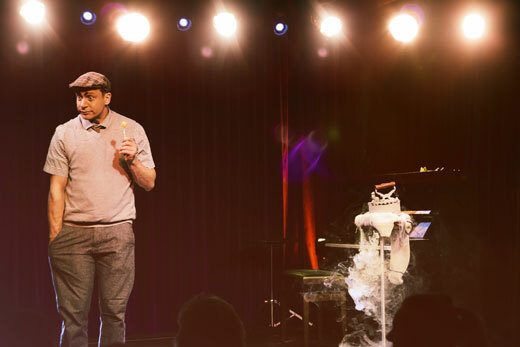 Special to „FRESH COOKED“ with „Andi & Alex“ at REINHARD GERERs TEATRO. 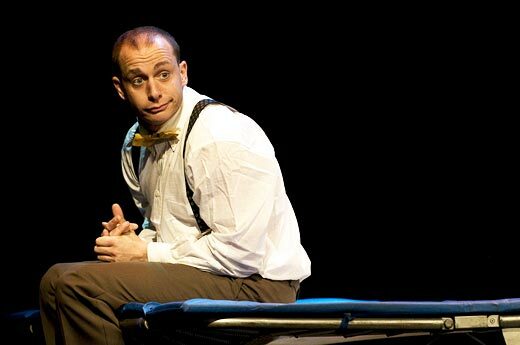 Separated at birth and found in REINHARD GERERs TEATRO again! 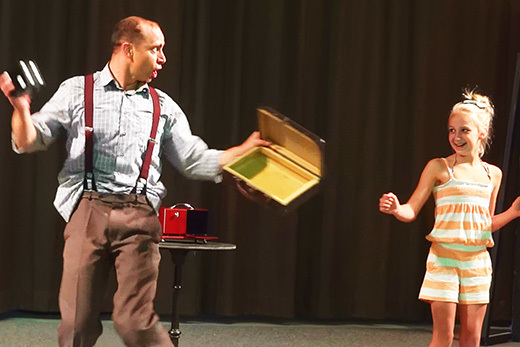 Jean-Ferry enthralls with Daniello the audience in Vienna. 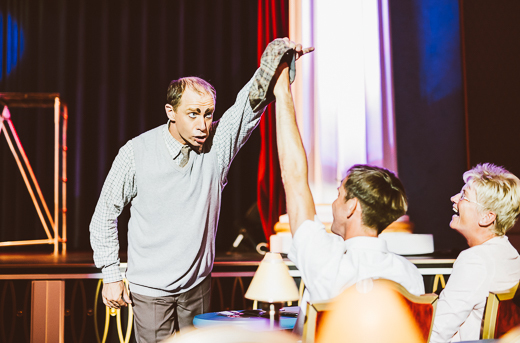 Interview on Premiere with Jean-Ferry Mirror palace – REINHARD GERERs TEATRO. 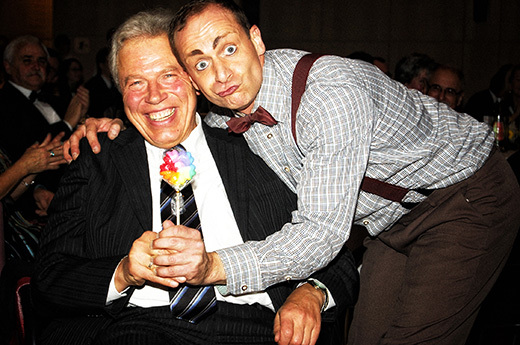 The Regensburg police chief Rudolf Kraus had a lot of fun. 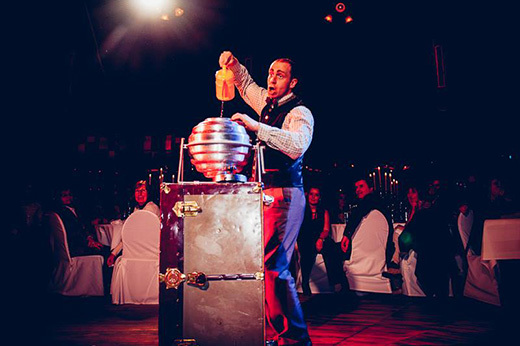 Jean-Ferry at Fire and water – Carnival of nostalgia in Hannover. 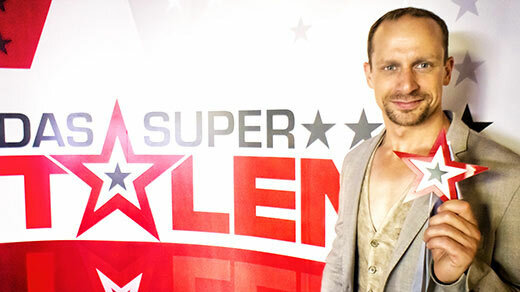 Jean-Ferry at 22 International entertainers festival Koblenz. 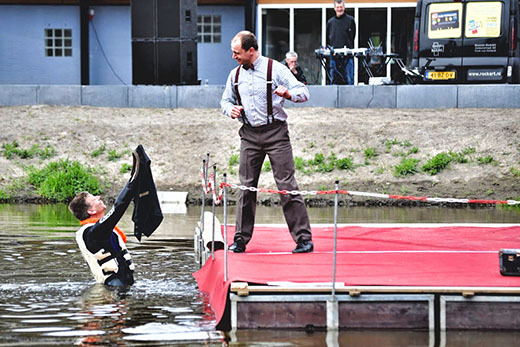 Jean-Ferry played with his comedy acrobatics (Trampoline & Ladder) on a swimming water stage and enthralls more than 5000 guests of the „Open air Variety“ in the last Queen's Day. 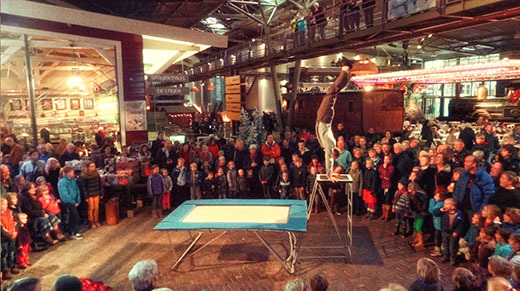 Jean-Ferry at the Event production in Spoorwegmuseum – Utrecht. 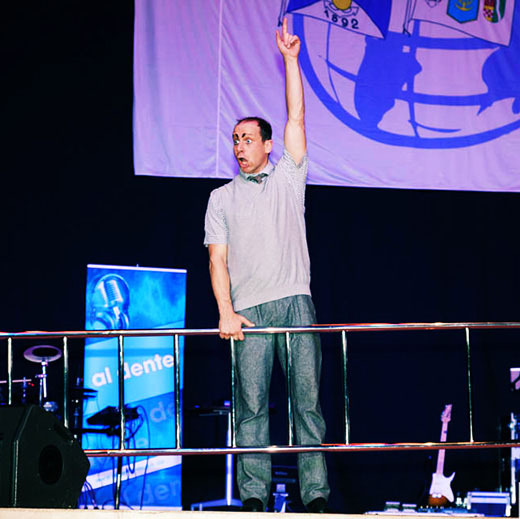 Jean-Ferry at the Event production Bosch – Czech Republic. 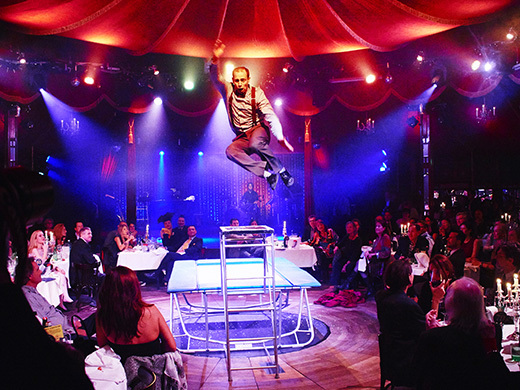 At the „Lost of cabaret“ theatre production in the „Grünen Salon“ stood Jean-Ferry after 12 years again with his old acrobatics partner Michael Klich on the stage. 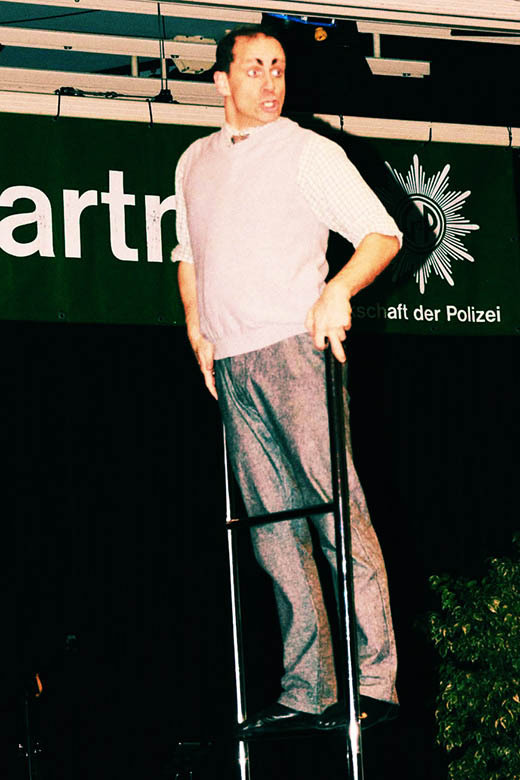 Jean-Ferry at the Event production „Party of the Police“ of the German Police. 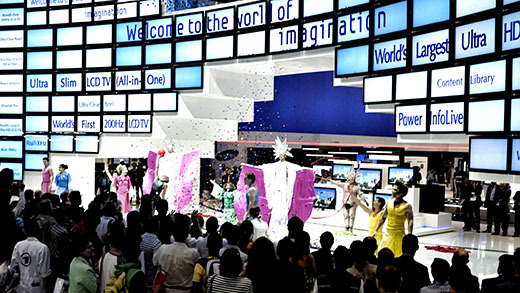 Jean-Ferry at the Event production. 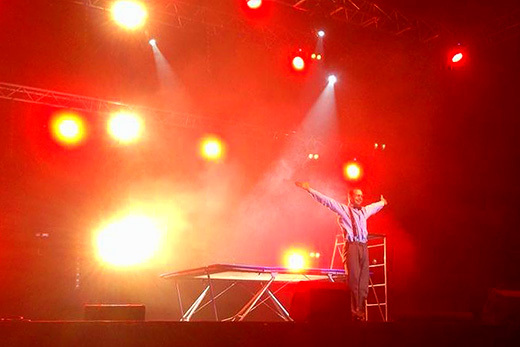 Jean-Ferry at the Christmas production „Noël en Cirque“ in Valence d'Agen – France. 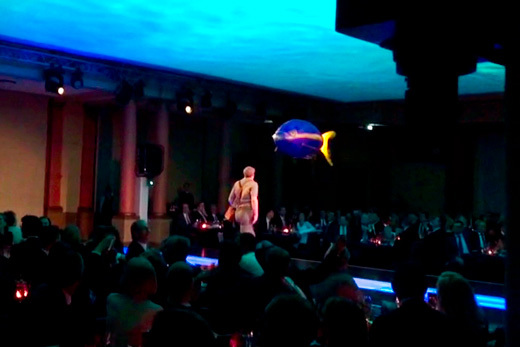 Jean-Ferry at the Event procuction „Federal Ball in the Maritim Hotel of Berlin“. 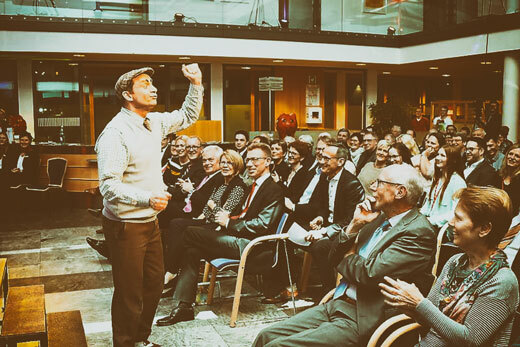 Jean-Ferry enthralls the guests with three acts at the Event production „50 years – Hymer“. 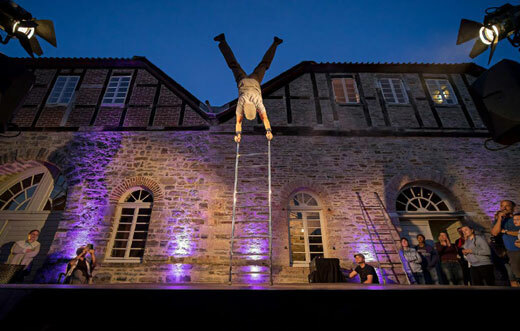 Jean-Ferry at the Open Air – Event production. 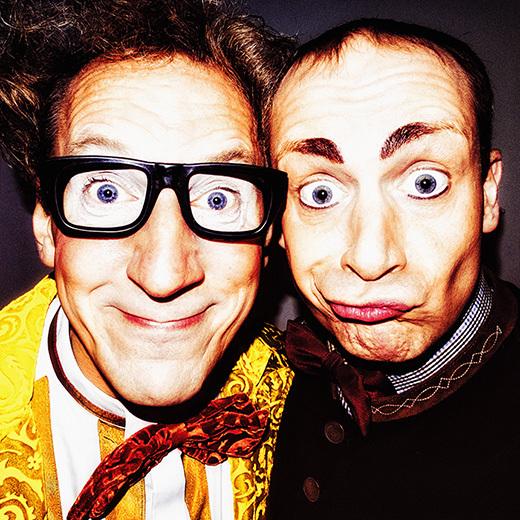 Jean-Ferry with his „Comedy Character“ at the TV Spot Production „VNG Group – Motivation Advertisement“. 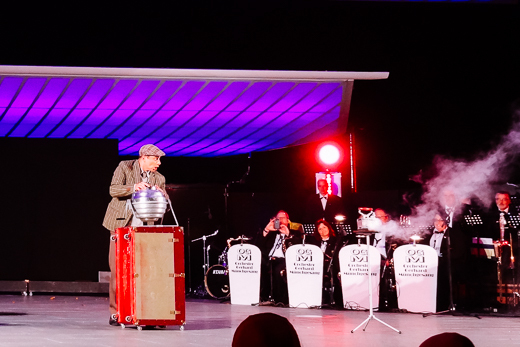 Jean-Ferry enthralls the guests with three acts at the McDonalds „VIVA LAS VEGAS“ show in Kitzbühel. 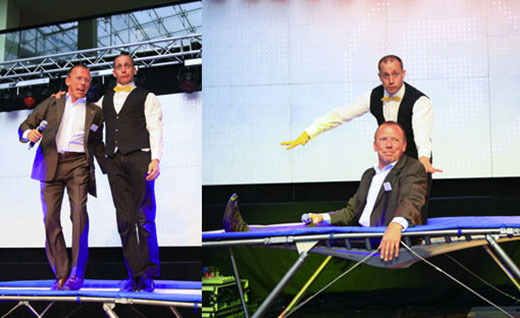 In addition to performing his „Comedy Trampoline Act“, Jean-Ferry compered the Legoland-Germany Jubilee Show – in partnership with the double-act Duo Catchup. 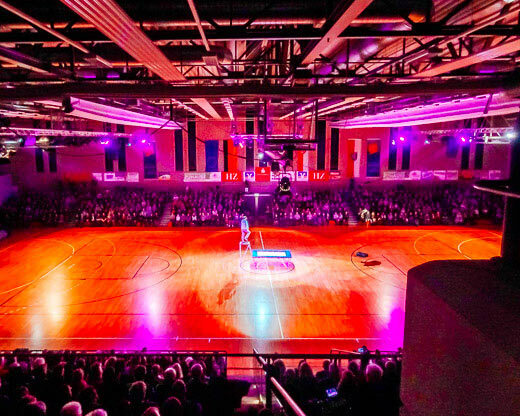 Over a two week period, this arena show was seen by more than 1500 visitors a day. 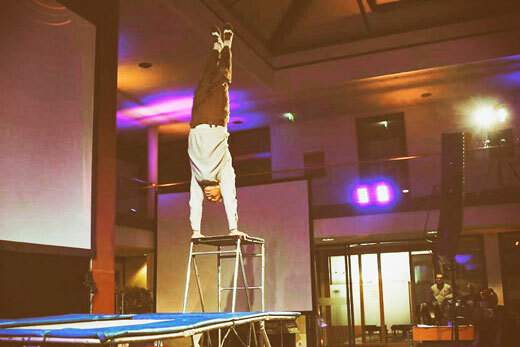 Jean-Ferry at the sports event. 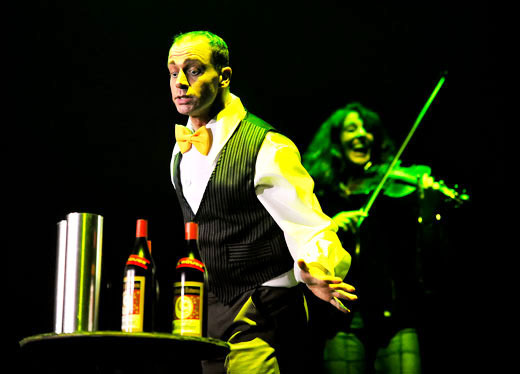 In the Christmas production of „Circus Eigenart“ in Bielefeld, Jean-Ferry delighted with his comedy trampoline, comedy magic, and his playful character as a common theme alongside the live band. 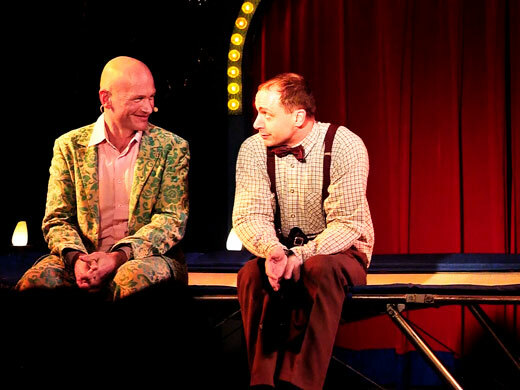 Jean-Ferry and Klaus Renzel enchanted the audience of the production „Dinnercircus – Zauberhaftes Varieté – Bad Bramstedt“. 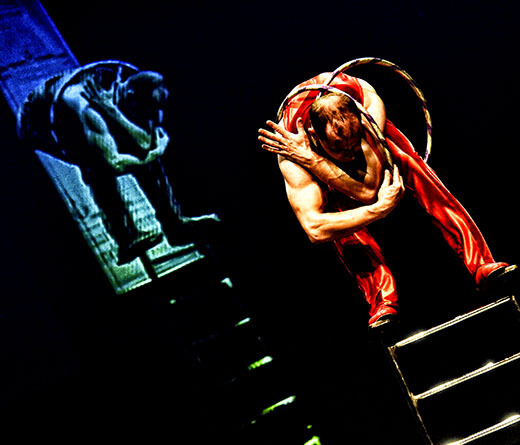 In Stuttgart's renowned "Friedrichsbau Variete" Jean-Ferry enchanted the audience of the production „Servus, Gruezi & Hallo“. 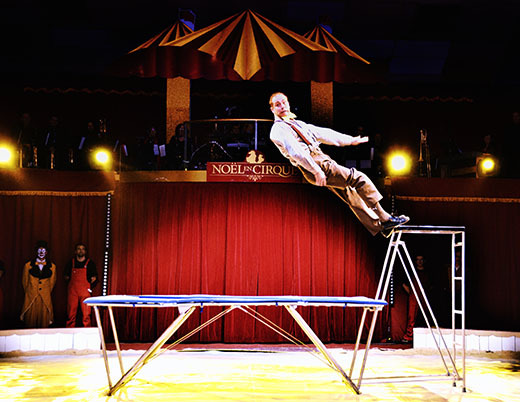 He proved his comical talent once more, by not only performing his comedy trampoline act, but also bringing a comedy character to his ladder-acrobatics for the first time. Jean-Ferry performed at the „Night of 1000 Lights“. Jean-Ferry featured in the „Europa-Variete“ at Franz-Stock-Platz. 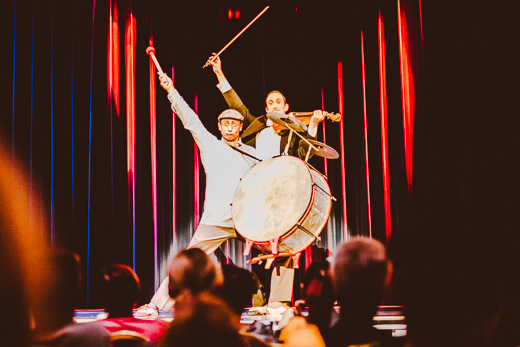 Over the course of four performances, 5000 spectators witnessed the triumphant variety show. 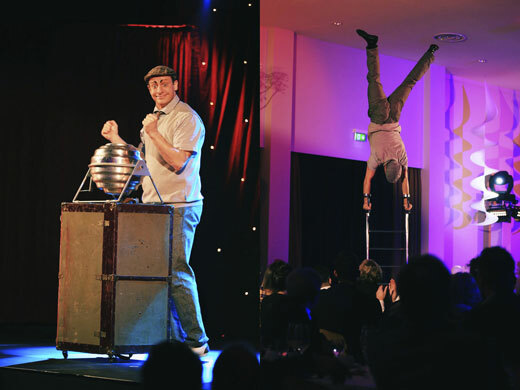 Jean-Ferry thrilled the guests of the 44th INTAKO social event in the sold-out ballroom of the Maritim Hotel, Düsseldorf. 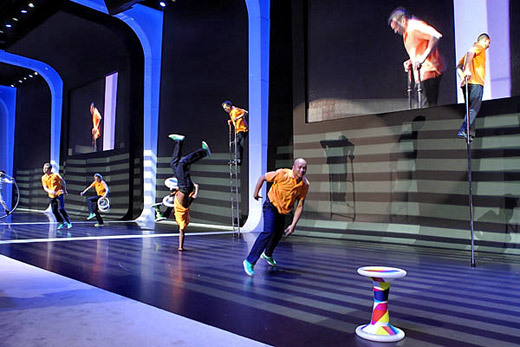 With a duo performance of ladder-acrobatics Jean-Ferry was part of the massive show production for the „Multivan Edition 25“ utility vehicle at the Volkswagen company evening. 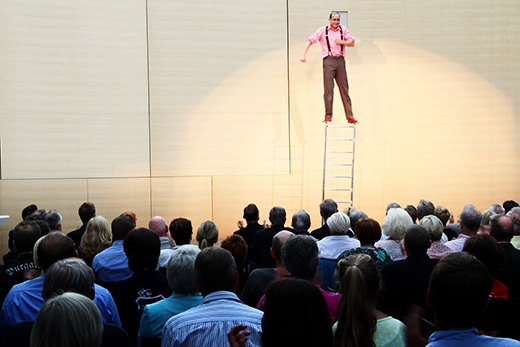 Jean-Ferry delighted the audience of the „Autumn Fashion Show“ in Passau's „Stadtgalerie“. 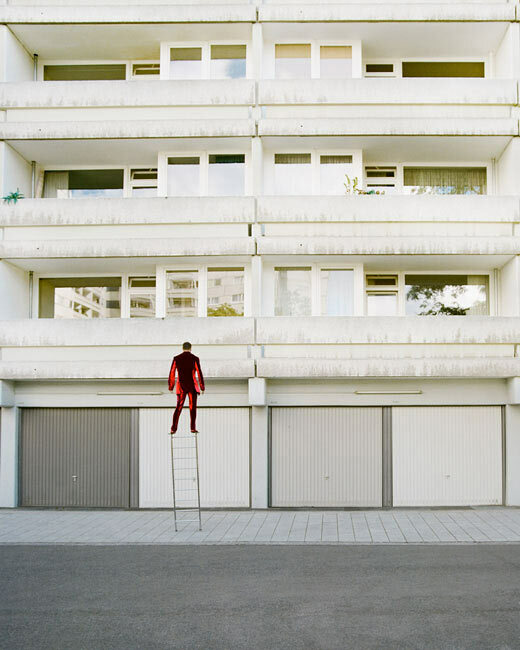 For his upcoming art exhibition Ingo Robin photographed performers and artists with contrasting architectural scenery. The shot of Jean-Ferry was taken in Berlin. 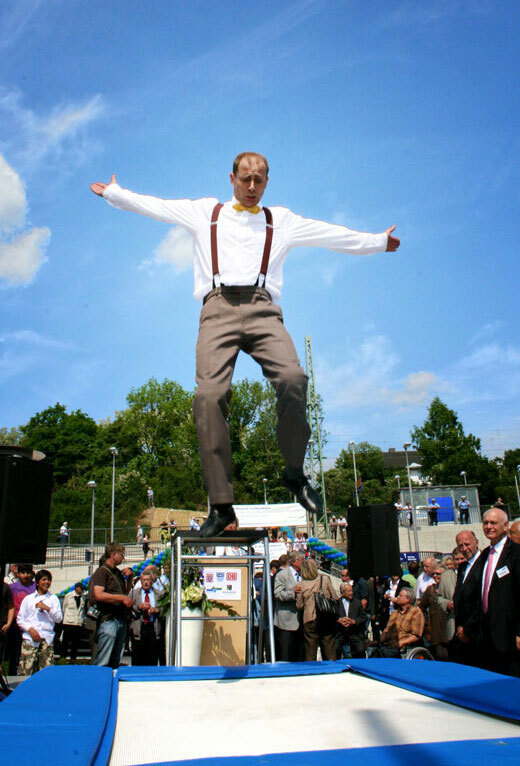 The opening gala in the „Jako-Arena“ thrilled more than 2000 spectators. 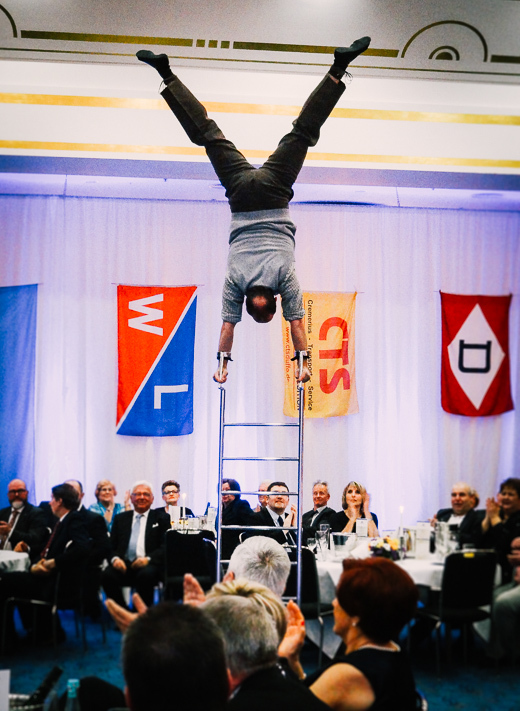 At the 40th „Ball des Sports“ in Münster Jean-Ferry provided excitement and entertainment with his ladder-acrobatics and trampoline-comedy. 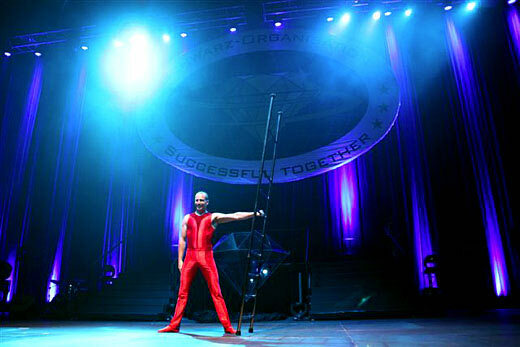 Jean-Ferry's ladder-acrobatics was rewarded with a standing ovation from the 6000 viewers of the Kick-Off show of the Schwarz Organisation / Amway in the Volkswagen Arena, Braunschweig. 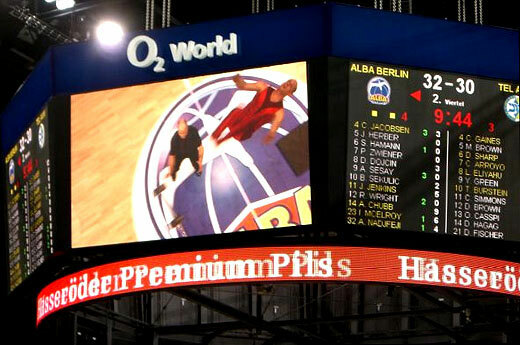 Jean-Ferry captivated the 10000 spectators of the euroleague basketball match „Alba Berlin“ vs. „Maccabi Tel Aviv“ during half time with his ladder show. 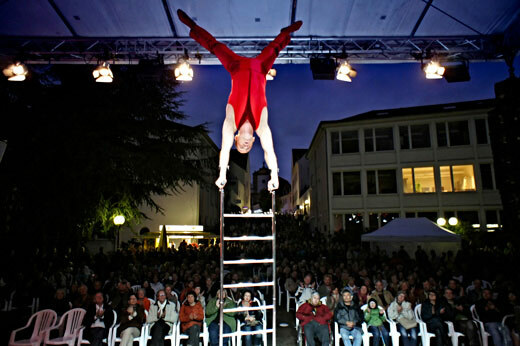 Presenting comedy trampoline and ladder acrobatic, Jean-Ferry captivated Café Hahn´s audience in Koblenz right away with his first appearance. 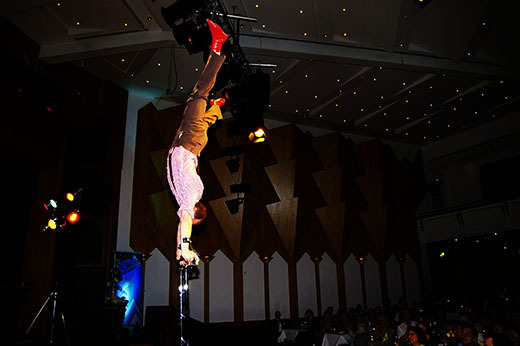 In the „Air Track Show“ on the International Funkausstellung Berlin Jean-Ferry created his first act on stilts. 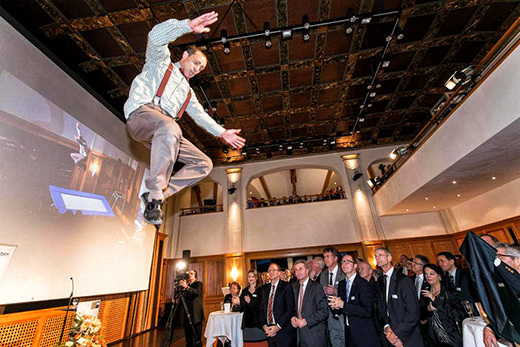 Celebrating the 5th Anniversary of the Radisson SAS Hotel Cologne Chief Manager Jürgen Wirtz was so daring to get on the trampoline with Jean-Ferry. In approx. 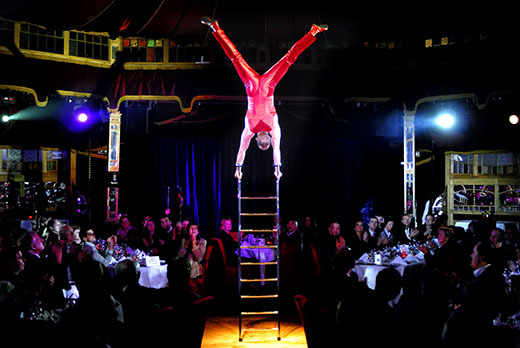 100 shows, Jean-Ferry thrills the guests of the „Tropical Islands“ close to Berlin with his ladder acrobatics & trampoline comedy as well as a magical comedy show. 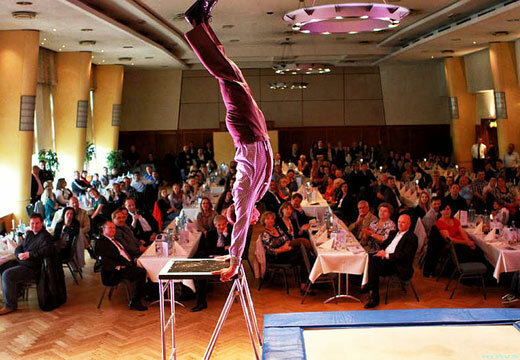 Jean Ferry for the first time impressed the guests of the dinnershow „Palais im Park“ in Bremen.